When Glenn Cox debuted with the Montreal Royals in the spring of 1951, the first batter he faced was Jackie Robinson. The Dodgers’ Triple-A Royals were battling their big league peers in an exhibition game, and as Robinson dug into the batter’s box, Cox, then a raw, 20-year-old right-hander, stared in for a sign from his catcher. He proceeded to unleash a fastball that ended up just missing Robinson’s chin, knocking the baseball legend to the ground. Control was never one of Cox’s strengths. Fortunately his velocity was good enough to allow him to fulfill his dream of pitching in the big leagues. Born on February 3, 1931 in Montebello, Calif., Cox was the youngest of Charlie and Leonora Cox’s four children. Cox liked to hunt and fish when he was growing up, but the only thing he really aspired to be was a professional baseball player. He spent countless hours honing his diamond skills and by his mid-to-late teens, his work was paying off. According to Cox in his memoir, the Pittsburgh Pirates, Chicago Cubs and Boston Red Sox all expressed an interest in signing him, before his inked a deal with the Brooklyn Dodgers in 1949 that paid him $1,800 a month for two years. He won 17 games for the Dodgers’ Class-C, Pioneer League affiliate in Billings in 1950, before joining the Triple-A Royals in the spring of 1951. Cox started the season with Montreal, but was shelled for five runs in three innings in his only start with the Canadian club before he was demoted to Double-A Mobile. 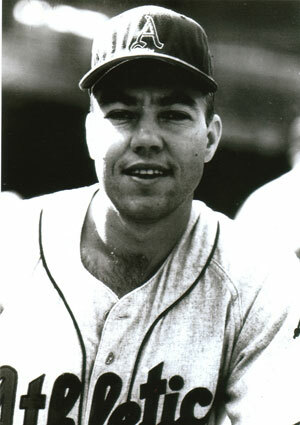 Cox served in the U.S. army in the Korean War in 1952 and 1953, before returning to the Royals the following year to earn a rotation spot and post 13 wins and a 3.68 ERA to help the team to 88 regular season victories. He returned to Montreal in 1955, where he registered 11 wins in a rotation alongside future Hall of Famers Don Drysdale and Tommy Lasorda. His success on the mound helped propel the Royals to the top of the International League standings, before his contract was purchased by the Kansas City A’s on September 12. In his big league debut on September 20, he was roughed up for seven runs in 1-1/3 innings by the Detroit Tigers at Tigers Stadium. Over the next three seasons, he was shuttled between the A’s and their Triple-A affiliates in Richmond and Buffalo. He tossed his only major league complete game on September 29, 1956 in a 5-1 loss to the Chicago White Sox. In his typically wild fashion, Cox walked nine batters in the contest. His sole big league win came against in the New York Yankees on July 20, 1957, when he tossed 2-1/3 innings of shutout relief in an A’s 6-4 triumph at Municipal Stadium in Kansas City. That was one of his career-high 10 big league appearances that season. In the minors, Cox established himself as one of the best hitting pitchers. He belted seven home runs in both 1957 and 1958, before splitting his final professional season between Triple-A clubs in Buffalo and Portland. According to Baseball Reference, Cox returned to California after hanging up his spikes to run an 80-unit apartment complex called Camelot in Whitter, Calif, from 1961 to 1972. He also purchased a fishing resort on the Sacramento River and owned and operated a carpet store from 1974 to 1980. In the early ’80s, he returned to baseball as the head coach of the Los Molinos High School team. He coached that team for over 15 years and also assisted with the school’s volleyball, basketball and football squads. The baseball field at the high school has since been renamed in his honour. After stepping away from coaching, Cox enjoyed fishing and hunting and in 2009 published a short memoir. Less than three years after his memoir was released, Cox passed away at his home in Los Molinos, Calif., on January 8, 2012 at the age of 80. He left behind his wife, Cathy, four children, six grandchildren and four great-grandchildren. 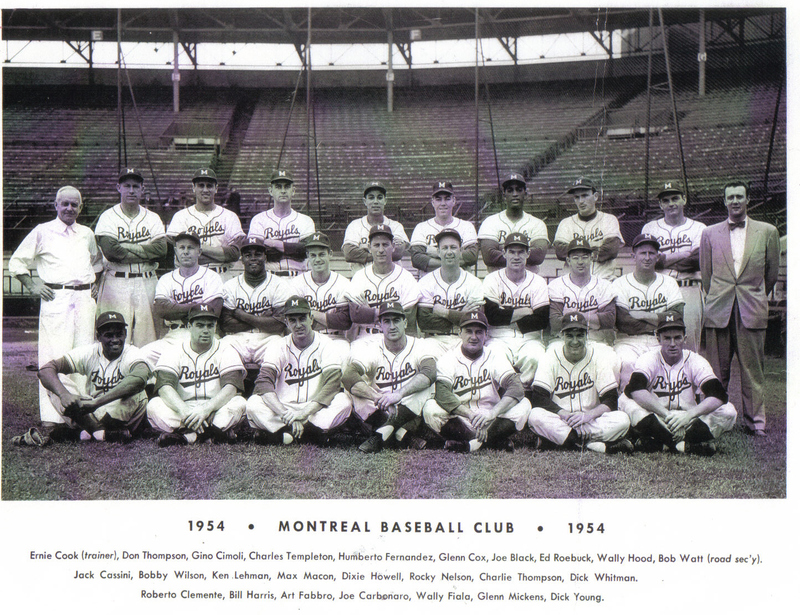 *This is the sixth article in my series about members of the 1954 Montreal Royals. You can read my articles about Roberto Clemente, Billy Harris, Don Thompson, Gino Cimoli and Chico Fernandez by clicking on their names. Very interesting! Imagine the first batter being the great Jackie Robinson! Wow. And to almost hit him. talk about tension! Thanks for the comment, Scott. Yes, what a way to start your career with the Royals.